Jane Sheehan trained as a general nurse at Barts Hospital, London in 1982. She moved to Norfolk in 1989 and did a diploma in Massage, followed a couple of years later by a diploma in Aromatherapy. Her interest in complementary therapies continued, so she studying for a year for a certificate in Healing at The Mangreen Centre. In 1999, Jane gained a practitioner certificate in reflexology. During this time, she learned Light touch reflexology and so was introduced to the effectiveness of a gentle touch. She also gained a diploma in clinical reflexology from The Christie hospital, Manchester. 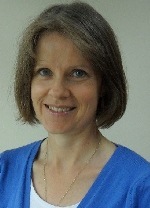 Jane also holds a diploma in Indian head massage and a Level 2 diploma in Reiki. Jane was recognized at the 29 November 2018 Federation of Holistic Therapists (FHT) Conference with the Excellence Award. The Excellence Award aim to bring much deserved recognition to high-calibre practitioners, students and tutors working in the field of complementary, sports and holistic beauty therapy. Jane was introduced to The 'M' Technique® while working as complementary therapy coordinator at a hospice in Norwich 3 years ago. She works at the hospice part time and has found the 'M' Technique® very effective for fragile clients and to help general relaxation. She became an 'M' Technique practitioner in and an 'M' Technique® Instructor in. Jane is very keen to help other people learn how to use this gentle, simple but effective method of touch.